Fantasy - at its very best! I really loved the story and was very much absorbed in the book, but sadly, the audio quality was not up to scratch. It turns out, this recording is from the early 90ies, and the quality is bad, with white noise in the background and sometimes something that sounds like a creepy whisper. Between each chapter, there are actually ads in the book!! I wonder if nobody at Audible listens to their books. The ads were made in the 90ies and were for ordering more audiobooks via the phone in the US, a very 90ies pre internet ad. I'm returning this book, because for this price, I expect good audio and no ads. I have read the book years ago and still have it. 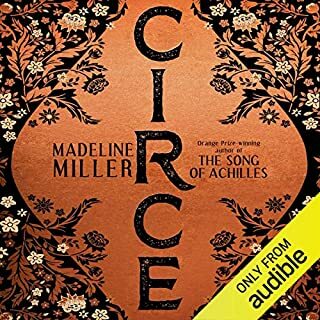 The audible version is wonderful. 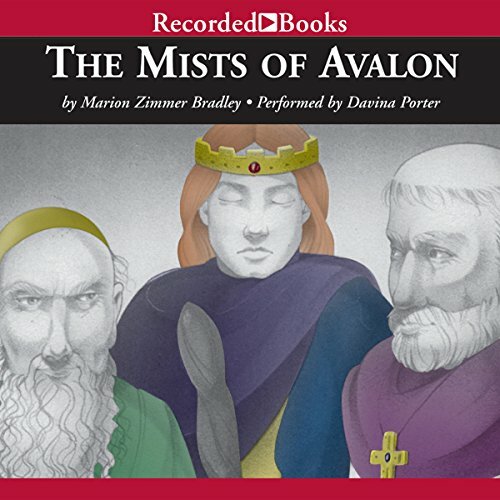 Thank u Marion Zimmer Bradley - while listening I am truly in The Mists of Avalon! Fresh take on an ancient tale. This is the story of Arthur and Camelot from a fresh perspective. Forget all you thought you knew about this legend and be prepared to be amazed. The baddies may not be the characters you once believed they were. narration is awful. like listening to a schoolteacher. if not for the wonderful story i wouldnt have bothered. I first read this book more than a quarter century ago as a college student. 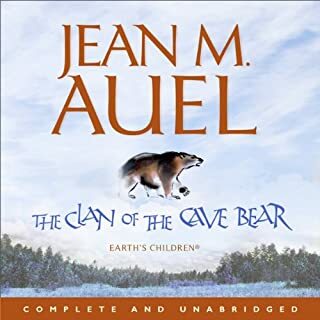 I had very fond memories of it, but hadn't reread it until I found it on Audible last month. 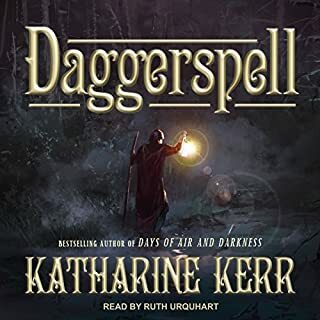 Not only that, it was narrated by Davina Porter, who has become my favorite narrator through her reading of Diana Gabaldon's "Outlander" series. I find Marion Zimmer Bradley's characters to be very real, and their interactions genuine. I love the general sweep of the story, and the elegance of the prose. And Porter's narration brings that depth of character development and storytelling to a new intensity. One thing, if you are looking at the four-part "series" of this book, note that "The Mists Of Avalon" is the collection of the other four (Mistress Of Magic, The High Queen, The King Stag, and The Prisoner In The Oak). The full book costs one credit, and the parts also cost one credit. Save yourself three credits and buy the complete version at once. The point of view of this novel comes from the females of the legend. From the first fifteen minutes, I am enthralled. We know the plot, we know the legend, or do we? Bradley offers a credible and interesting perspective that brings many possibilities to light that breathe life into this story. Davina Porter makes narration a fine art in this story. Her voice brings this tale to life and she is the perfect fit. This is a rare listen to a fantasy legend. Little is know about the real Arthur. Was he a king or a general? I offer highest praise. Please make room for this on you listening list. It is an investment at 60 hours. Also for you people who listen at 2X, you know who you are, slow down and take it all it a 1X. I give a big thumbs up. Fantastic Narration by Davina Porter! What did you love best about The Mists of Avalon? What I loved the best was the whole atmosphere that continues throughout the book. It's calm and serene, even in the most tumultuous parts. You can feel from the very beginning, the mysticism of the place and people. Davina Porter's voice is perfect for that calmness. Her character voices are superb, and you can sometimes forget that you're listening to just one person! Well, of course, my favorite character was Morgaine because she is the one that you are right there with throughout the book. We hear her innermost thoughts, and so we cannot help but be on her side! She is mystical and powerful, even in the times she thinks she is not. Now, on the other side of things, the character I loved to hate was Guinevere! She was so bratty, selfish, and shallow! Everytime we heard things from her point of view, I really wished someone would just push her off a cliff. "In my time I have been called many things: sister, lover, wise-woman, queen." "And now, when the world has changed and Arthur - my brother, my lover, king who was, and king who shall be - lies dead (the common folk say sleeping) in the Holy Isle of Avalon, the tale should be told as it was before the priests of the White Christ came to cover it all with their saints and legends." I think it completely sets the tone for the entire book, and Davina Porter's voice really brings it to life. I didn't have any extreme reactions to this book, mostly because even the sad parts were cloaked in mystery and sereneness. You sort of glide through from beginning to end in an enchanted haze. It was different! 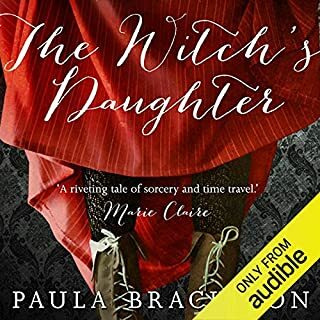 Before listening to this book, I had already listened to the entire Outlander series, which Davina Porter also narrated. Each audiobook is very long, so in total, I'd listened to about 326 hours of Davina telling the Outlander tale. I was craving more of Outlander after that, so I looked at what else she had narrated. The Mists of Avalon caught my eye, and even though I was hoping the narration would remind me of Outlander, it didn't! 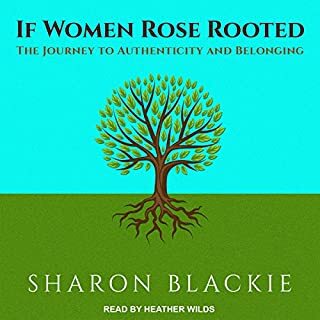 Her voice wasn't that different, but I found that I never thought about Outlander while listening to this book! That, to me, was an impressive thing! I was sucked in by the story, and not just the voice. 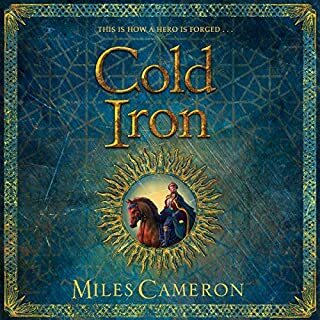 Where does The Mists of Avalon rank among all the audiobooks you’ve listened to so far? 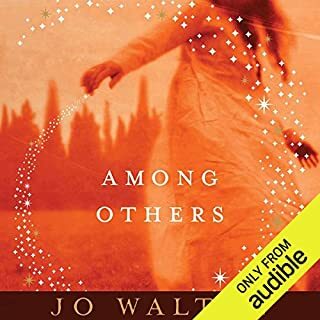 One of the better audiobooks since it is an old favorite. The reader, Davina Porter. She is one of my favorites. She is able to mix and match the voices without making all the men sound like idiots. I guess my strongest reaction is just a real comfort with the story - I strongly associate with the crossover elements to other literature on the Arthurian legends. At close to 900 pages and 51 hours, this book is something of a daunting endeavor, but I can assure you the ending makes it worth it. Indeed, the ending has as much power as it does BECAUSE so much time and space is devoting to constructing Arthur's Britain. I highly recommend this book. Truly a seminal piece of work in feminist fantasy, but also in Arthurian adaptions. I absolutely loved Davina Porter's reading of this series. I was pleasantly surprised to find that when I purchased the Unabridged version of "The Mists of Avalon," I had purchased all four books of the series using just 1 credit. 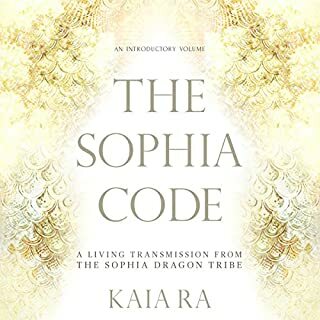 Other reviewers had not commented on this, so I thought I would share and suggest that you do the same as the rest of the books are interesting. The story comes to life in this reading and it is well-researched. 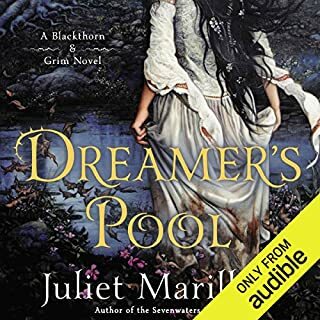 Zimmer Bradley conducts a fantastic feminist reading of the Arthurian legends.The production is equally fantastic- featuring Davina Porter who is one of the best audiobook readers. What other book might you compare The Mists of Avalon to and why? 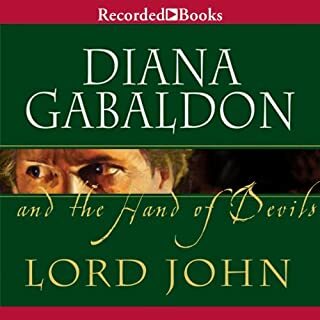 If you are interested in Porter's reading of this, you might also enjoy her reading of the Outlander Series (though a completely different type of historically-based drama). She particularly excels in her Scottish accents. I am in love with anything Davina Porter narrates, but in the Mists of Avalon, I am also re-captivated by the story of Camelot as told through the eyes of the key women. It is refreshing and thought-provoking in ways I would not have expected; an aspect that only adds to my enjoyment! What made the experience of listening to The Mists of Avalon the most enjoyable? The Narrator was absolutely amazing! Morgain. She comes off as a tragic character but is essential like any person trying to navigate great changes while trying to keep her faith alive. Never have but I adore her voice and the spirit inwhich she worked. Yes. Oddly I did find myself becoming extremely sorrowful by an unsettling incident that happens in the book. magic systems of Harry Potter or most fantasy books. Simply put: it comes off more real than most fantasies. Davina Porter takes you through the days of Arthur and his court with her usual talent and emotion. I love a long story and Ms. Porter never gets boring with her characterizations.Marion Zimmer Bradley is a wonderful weaver of tales. If you like this genre - it is a Great Choice. These women can take you out of this world and into theirs like magic. Take your time and enjoy the " The Mists of Avalon." Would you listen to The Mists of Avalon again? Why? Yes, It is just a good story and Davina has a pleasant voice. I've read this book three time over 25 years, I passed it on to family and friends after first read and it spread like wild fire. Oooh. Top ten, I think. Counting all the Sherlock dramatisations as one. 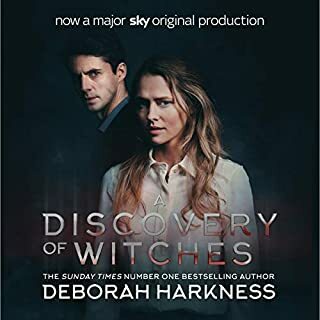 Mostly for the length (don't be intimidated, it's a really easy listen) - you get a *lot* of book for your £7 credit (and it downloads in parts, so each part doesn't take ages). 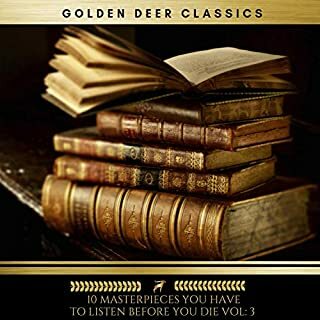 I had been working my way through Tolkien, Susan Cooper (Dark is Rising) and the Alan Garner books - the last two authors fond memories from childhood, listened/bought for old times' sake (still good!). 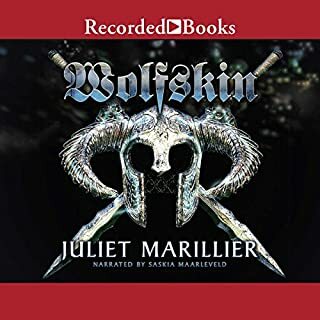 I was looking for other things based on folk tales/Arthurian/Norse/Celtic mythology (in a bid to get away from traffic jams and checkout queues) and this was a "other listeners bought..." suggestion by Audible. Well done Audible, and many thanks! 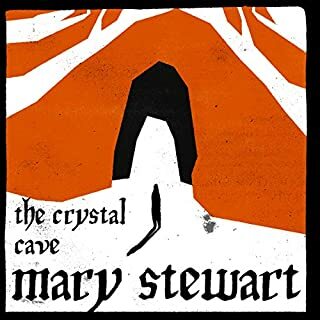 Content - it's a retelling of the Arthurian legend (in accessible language) but with a slightly different focus - re-told from the perspective of the women in the tale (Morgaine, Igraine, the Lady of the Lake). The writing and language is good (no glaring anachronisms) - convincing but accessible. Some books you get to the end of a sentence and cannot remember what the beginning was about - not so with this one. 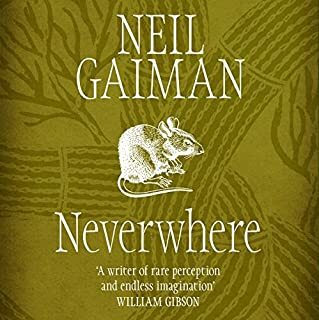 The setting and history of the characters is good - a lot of the characters make much more sense to me now (although it isn't dry like a factual book). The juxtaposition of the demise of paganism (feminist/matriarchal society) and rise of Christianity (masculinist/patriarchal society) provides a good historical background and context for struggles. You do get transported to another world (exactly what I'm looking for whilst cleaning the bathroom). So far, the Uther and Igraine scene. You know, if you've watched Excalibur (not in a rude way though - there's no toe curling stuff). Narrator. Absolutely brilliant. Have had a few dud ones recently but Davina Porter is great - will look for more books narrated by her. 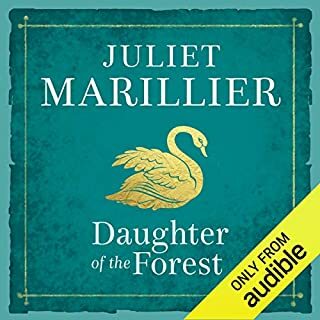 If you like Philippa Gregory, Ken Follet, Bernard Cornwell, Jean Plaidy, Tolkien and you are willing to listen to a different take on a legend, you might enjoy this. At the moment the length of story is a bit daunting. But it puts a new spin on this legend. You also need to watch for all the twists and turns and remember that people had different views, beliefs and maybe morals than us. Good book and good narration. It will make you think about many topics and question your understanding. The fact that's is such a long story yet the narrative keeps it interesting to the end. This story is written from the point of view of the women of the legends, roles are reversed and deserved homage is given to the 'old' religion and it's tolerance of 'new' religions. The story and the brilliant reader. Morgaine. Much misrepresented in other Arthurian stories as the villainess, here she is a woman in the grip of fate she did not make, and its consequences. A believable well-rounded character, not an archetype of the wicked witch. I would like to listen to more. She is one of the best readers I have come across, and it really does make all the difference. No, I have read the book, so I know the story. I wanted to savour this, and I know I'll listen to it again. If you want to dive in to Arthur and the Celtic imagination, here would be a good place to start. If you could sum up The Mists of Avalon in three words, what would they be? What other book might you compare The Mists of Avalon to, and why? The Once and Future King, for its masterful retelling of Arthurian legend that brings the timeless tales into a new light. She really gives voices to all the characters - I never felt uncertain about who was speaking. She also keeps my attention amazingly. The one downside is that I found the ending quite anti-climactic, and I also questioned some of the characters' actions, finding them out of character. What an amazing book. This has easily become one of the best books I have ever read or listened too. superb and it get 10 out of 10 from me. just magical. 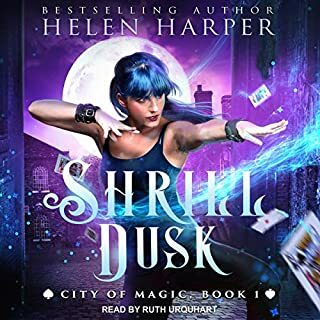 Davina Porter's voice is perfect for audio books, she manages to make the mystery and magic of the books come alive! This story transports you to another time and place. excellent narrator. wish the story never ended!Thanks. Beautifully written. Great story and interesting characters. This story brings the legend of Arthur alive.